We have started breakfast Club at Kilsyth Primary School on Thursday morning during school term. We have a dedicated weekly team of parishioners who served breakfast to the children and tea and coffee to the parents. If you would like to be a member of the team, please contact Gloria who is team leader on the office on 9728 2696 and leave a message. Some of our stalls at the fete. Our fellowship and community events consist of various types of functions including fairs, trivia night, theme dinners and High Teas. Check out our 'What is happening now' tab for our next event. We're always happy to welcome visitors. Just ring the office for details. 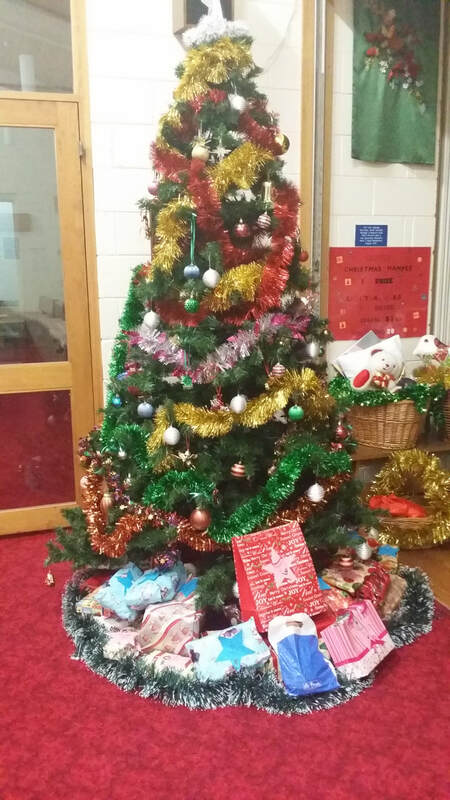 Every year we support Steps Outreach with gifts for the homeless. 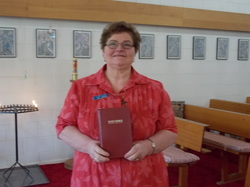 ​In the life of our parish prayer and bible study is very important. Growing in relationship with God and each other enables us to learn together through prayer groups and bible studies. Our Wednesday Service is a time to share holy communion, discuss the scriptures and to pray together for our world and for one another. You're welcome to join us at 9.30am every Wednesday. ​We have 2 bible study groups running at the moment. Our Monday afternoon group meets weekly at 1.30pm and is open to new members. Just drop in! One of our lively music makers, part of a team including guitar, piano and saxophone. Some of the musical team who enhance our worship with their beautiful songs. 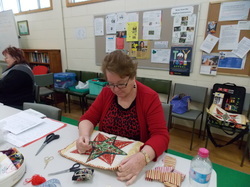 ​One of our many ladies who come to our quilting groups which meet every Monday in school term time from 9.30am - 12.00pm and 12.30 - 3.30pm. Come and join in and make some amazing creations. Beginners welcome. Nola on piano and Eddie on saxophone. 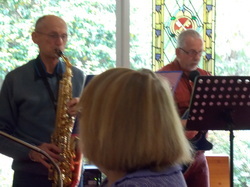 Our musicians 'rocking it' at our Australia Day picnic. Our play group meets weekly on a Tuesday morning commencing at 10 a.m. to 11.30 a.m. Come and join us for music, craft and play, with time for morning tea and a chat with other parents of young children. Play group is held during school terms only. Cost is $10.00 per term or $2 per week. Get the kids out of the house for a while with different toys! All enquiries please call Gloria on 9728 2696 and leave a message. ​We have a team of dedicated members who are involved in the Kids' Hope mentoring program at the Gladesville Primary School in Kilsyth.